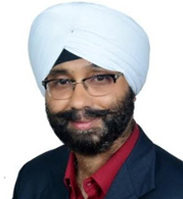 Maninder has over 25 years of experience spanning across business operations, human resources and leadership & organization development. He has worked both as an organizational leader, and as an external consultant. He is passionate about making individuals and organizations successful. Maninder has driven people development and change management projects across large organizations. He has significant expertise in need identification, solution design and project management. He has successfully implemented 70:20:10 methodology in managerial and leadership development and led implementation of 'Training Outsourcing'. He has been engaged in key organizational transformational projects involving merger, process outsourcing, competency development and defining organizational values. Some of the organizations where Maninder has led teams and functions include ATC/Viom Networks, Airtel, NIS Sparta. Maninder has a Ph. D. in Training from Aligarh Muslim University and is an ICF certified coach (ACC). He is also a certified Internal Assessor & Coach on High Performance Behaviors by CHPD (Centre for High Performance Development, UK) and a Certified facilitator by Development Dimensions International (DDI), US. As the Senior Consultant for ThreeFish, Maninder's primary responsibilities include client servicing and designing and delivering Coaching, Consulting and Learning solutions. He is based in Delhi.